“Sober” can mean that a person is either “not drunk” or he or she has moved past drinking to an alcohol-free lifestyle. When we hear that a person has been “sober” for a certain number of years, the term essentially means the same thing as the notion of “sobriety” that I want to explore here. As the defining point of this article, the reader will either “get” this, or not. If you or someone you know well has gone through the life-changing process of getting sober, then you understand the profound transition involved, and how completely one must abandon (i.e., surrender) any notion of “controlling” his or her drinking to get well. This kind of personal metamorphosis is a fundamental requirement to winning back a driver’s license that has been revoked for multiple DUI’s. Because I only do license appeals for people who have genuinely embraced sobriety, I can and do guarantee a win in every case I take. 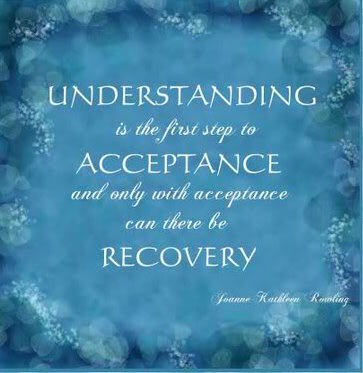 A client of mine really defined this in the clearest way when he observed that you can admit you have a problem with drinking, and you can even “admit” that you’re powerless over alcohol all day long; what matters is truly accepting it. This is an interesting take on AA’s 1st step, “Admitted we were powerless over alcohol and that our lives became unmanageable.” In the way that the AA people mean it, acceptance is implicit in the admission, but what my client was trying to say is that many people “know” they have a problem with drinking even while they are still struggling with trying to control it, whereas once someone fully “accepts” his or her powerlessness over alcohol, there are no more attempts at control. Instead, there is a simple surrender, and the fight just ends. By the time most people hit this point, drinking is no longer fun anymore, and usually hasn’t been for a while. When AA co-founder Bill Wilson was asked what he thought of as the most important thing about the program and what it takes for a person to quit drinking, he said, “First of all, we had to quit playing God. The alcoholic is an extreme example of self-will run riot, though he usually doesn’t think so.” To put this in more modern terms, it means that you must get out of your own way and give up the idea that there is any way to control, limit or otherwise manage your drinking. Truly sober people find great relief when they accept – and accept is the key word here – that they cannot ever pick up a drink again. All attempts at limited drinking inevitably lead to problems, even if infrequently, for any and everyone whose relationship to alcohol has crossed the line from normal to troublesome. For many people, it takes a long time to really understand this because trouble does not always follow drinking. As another astute AA truism points out, “I didn’t get in trouble every time I drank, but every time I got in trouble, I had been drinking.” This is often described, in retrospect, as doing the same thing over and over again and expecting a different result. Still another AA lesson cautions that “One [drink] is too many, and a thousand is never enough.” This is the kind of thinking that really defines sobriety, even for people who’ve never heard these things before. Consider this: Ask someone is if he or she would eat a particular kind of food after getting sick on it and spending about $10,000 in medical bills. Some might agree that the experience could be a fluke, while others would rule it out, saying it’s not worth the chance. Now, if a person ate the same kind food on subsequent occasions without incident, only to get sick still later down the road after eating it again, he or she would probably conclude (another $10,000 later) that the risk was too great to ever do it again. What if it happened a third time? You’d question the sanity of a person who kept going back for more, right? Yet this is almost precisely the same thing that happens when someone picks up a 2nd or 3rd offense DUI. Here, the old saying that “Anything that causes a problem is a problem” rings truer than ever. In certain criminal and DUI cases, the Judge (usually along with everyone else) can see the connection between a person’s drinking and the trouble in which he or she finds themselves. Of course, it’s great for a Judge to hear that a person finally “gets” it, but Judges hear that stuff all day, so at best, such a declaration will be met with some cautious optimism. Yet even here, AA provides some good advice: “Fake it ’till you make it,” which stands for the idea that even if you don’t’ “get it” yet, work on not drinking, go to counseling or meetings or whatever and maybe all the pieces will fall into place. Some people do find sobriety in less than dramatic circumstances. Sometimes, after being kept away from alcohol by court order and compliance verification measures like testing, a person can look back and realize that his or her life has been much better and calmer and more productive in the last year or so, and then connect the same dots about drinking and how it hasn’t done any good in his or her life. I once had a driver’s license restoration client explain to me that even though he knew his drinking was causing problems, he figured he could fix it, even though none of his prior attempts to do so had ever worked out. Then, he met a girl he really liked, and she basically told him that if he wanted to hang with her, he was going to have seriously dial back the drinking stuff. He cut out his drinking completely, at least to get “in” with the girl, never really intending to stop for good, yet after a short while, he began to see how much better he felt and how much more productive he had become. When he thought about it, he realized the good times he thought he’d had with his drinking buddies were little more than a waste of time and money, and that he liked his life and who he had become with his new girlfriend much more. He decided that it was time to stay quit, and he did just that, eventually marrying the woman who, to this day, he sees as the catalyst for his decision to get sober. The world is full of stories like this. There are as many ways to get and stay sober as there are sober people, but one thing they all have in common is that lasting and real sobriety always requires that a person truly accept that he or she cannot pick up a drink again. The idea is simple, although the road to it is often long and hard. In this case, both the journey and the ultimate destination can be transformative.